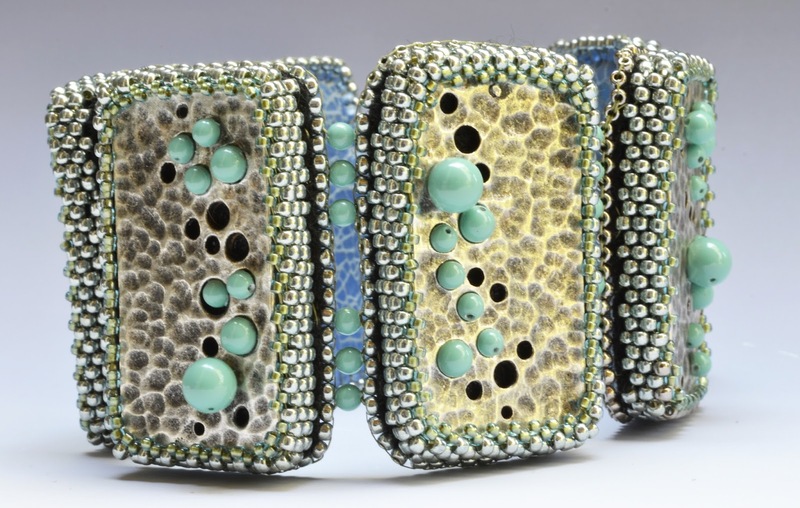 Drop by during class to check out Kinga's Trunk Show! Kinga will have some of her favorite things for sale--including kits and pieces of gorgeous leather she uses to back as backing in her bead embroidery projects. Projects are on display at Alaska Bead Company!!! What Kinga says about this project . . .
“In the center of this composition we have a delightful precious metal clay hand sculpted medallion by the talented Cynthia Thornton. The bracelet has the feel of enchantment, playfulness, and childlike innocence--kind of like a magical garden. 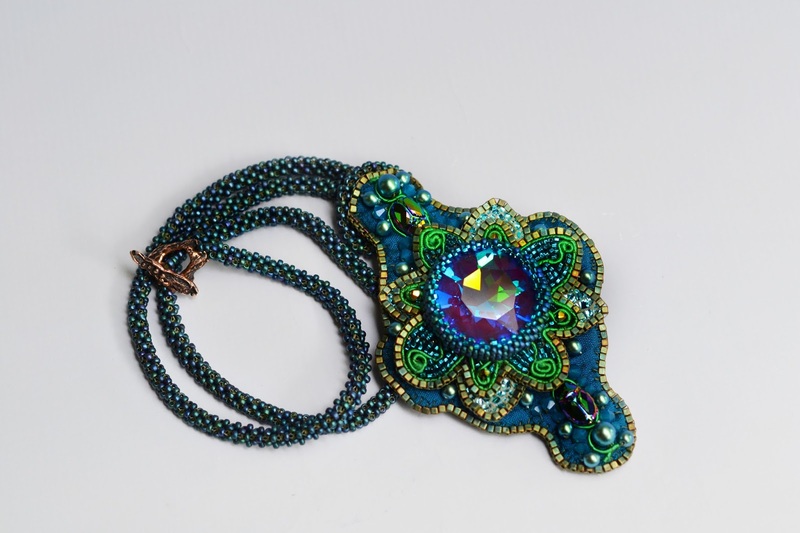 It's a great project for those who want to experiment using fabrics in bead embroidery, and those who want to play with a more three-dimensional approach. The name "Mandragora" is Latin for Mandrake, a magical root that pops up in fairy tales, books, and movies." It would be good to have some familiarity with bead embroidery, peyote bezels, brick stitch, and herringbone stitch. But even if you don’t, motivated beginners in bead embroidery are welcome with the understanding that this project won’t be finished in class and that this is a class focusing on design rather than basic techniques. It's elegant, it's modern and it's simple because sometimes, simplicity is perfection. The repetition of elements creates pleasing harmony. The subtle layers of color and texture make is just right. Basic working knowledge of how to bezel using peyote stitch. Bead embroidery beginners are welcome too. "This project started out as an idea for a colorway I adore: the interplay between deep water blue and rich greens, which always has fascinated me. Shifting between teal and peacock-like tones, and a bit of purple reflection in the Swarovski crystal, it’s just like swimming in water looking up from beneath as the sun shimmers through the serene waves. As I was finishing up the piece, it reminded me of the giant diamond from the Titanic movie, that the protagonist, Rose throws into the ocean at the end, and so I named it after the diamond!" Bead embroidery beginners are welcome; a basic working knowledge of peyote bezels would be helpful. Experience with CRAW (cubic right angle weave) also will be helpful, but motivated, patient CRAW newbies are welcome too! About Kinga Nichols . . .
Kinga Nichols was born in 1980, in Hungary. At 19, she packed up her life in a backpack and moved to the US where she has been residing since, albeit not at the same place. She currently lives in Boulder, Colorado with her husband Paul Nichols and fur baby Samantha Regina Nichols. Samantha Regina is not only her muse but her model as well. Many of Kinga's best known pieces were popularized by the canine model. 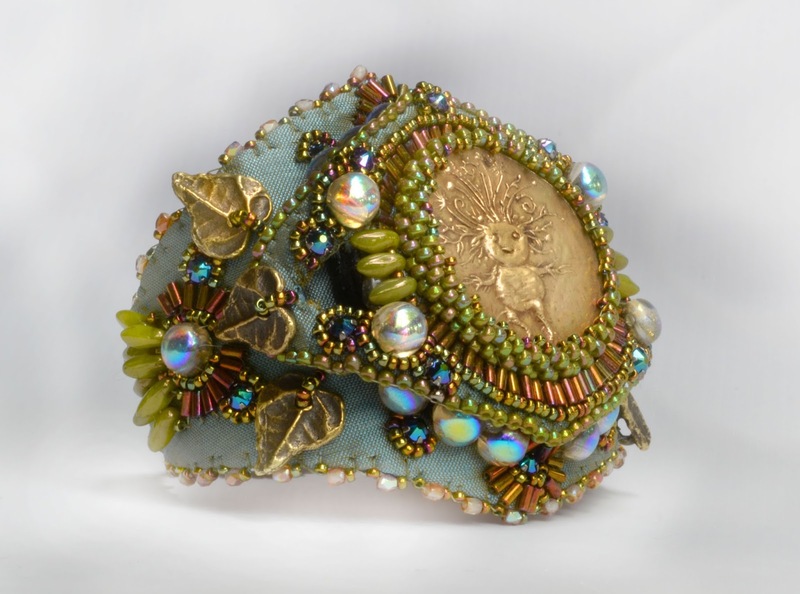 Her work first got noticed in the first Battle of the Beadsmith, quickly followed by her being a BeadDreams finalist in 2013 and getting 3rd place in the same competition in the Swarovski category in 2014, and a book feature in Marcia Decoster Presents, 2014. In 2015, she won first place in the crystal category in BeadDreams. In 2013, she started teaching and she hopes to continue this as her chosen profession for a long time to come, not only passing on beady knowledge, but perhaps her unique way of looking at the world as a magical place filled with endless possibilities. 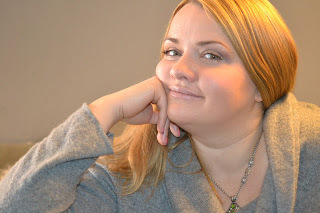 Learn more about Kinga through her blog.